Ready for that sleek but tough ride you have always wanted? Well, Jeep has been in forefront of car and truck manufacturers for decades. Their business has continued to thrive during a time when the automotive industry is fluctuating. 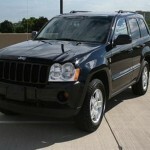 For your chance at one of these great vehicles, check out this 2007 Jeep Grad Cherokee. This item is in great condition and has only 75,545, and should be running fine. Some of the features that come with this car are a six-cylinder engine, power steering and brakes, air condition, radio/CD player, and much much more. This car is available through an online auction. It ends in on September 24, and the current bid only at $7,001. 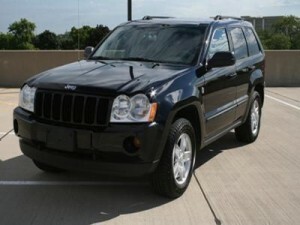 If you think that you can handle a jeep of this caliber, then check out www.governmentauctions.org and check it out. 2008 Dodge Challenger SRT-8 starting at $100!! Hit the road in this reliable car.